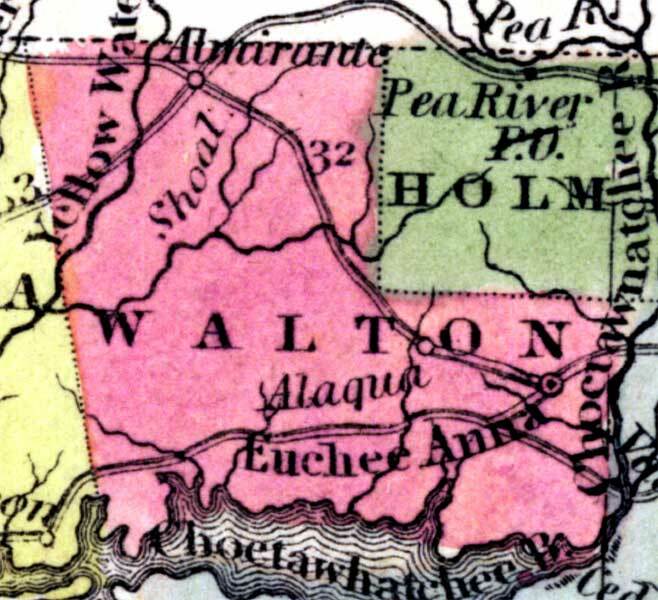 Description: This detail of a 1850 map from the New Universal Atlas shows towns, forts, roads, canals, major rivers and lakes in Walton County. The map is very similar to the 1839 map from Tanner's Universal Atlas. There are references to forts, battlefields, and routes used by the Army during the Seminole War. The southern portion of the county is bordered by the Choctawhatchee Bay. Other points of interest include Euchee Anna and Almarante.